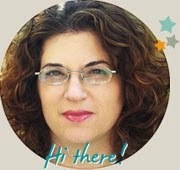 CHA is always a source for a lot of fun and inspiration! Here's a simple but pretty project courtesy of one of the adhesive companies in the show. 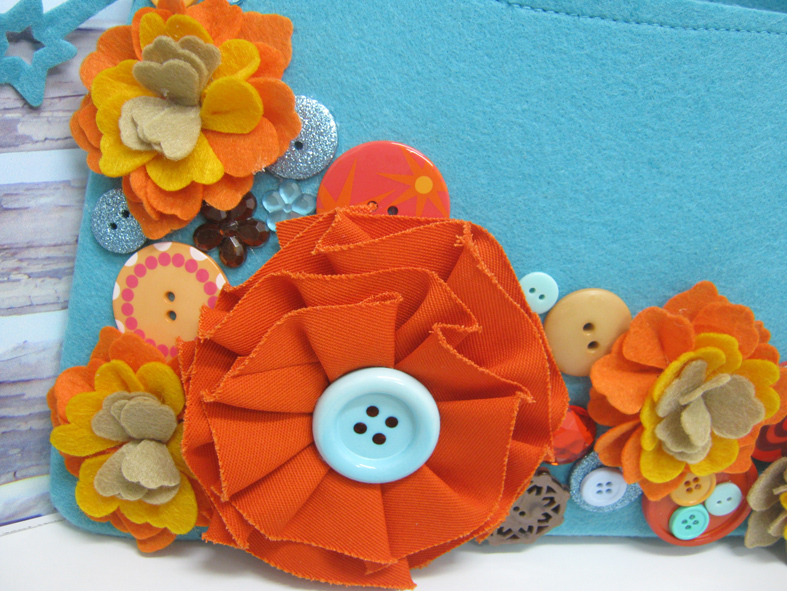 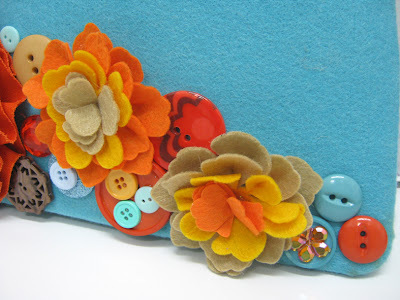 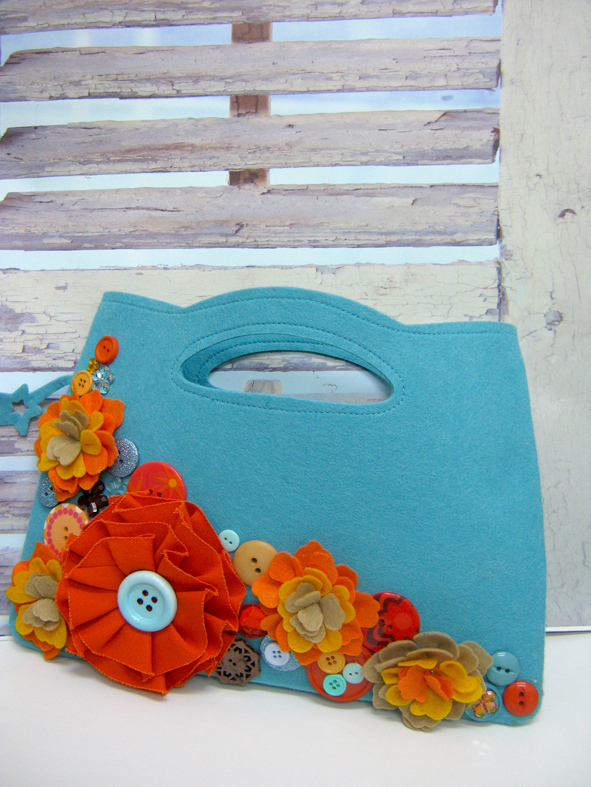 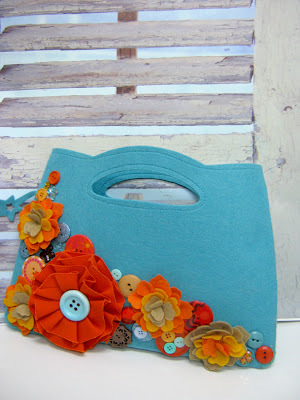 All you need is a felt bag or purse and lots of embellishments like flowers, buttons, beads and more, then you can start the embellishing party! 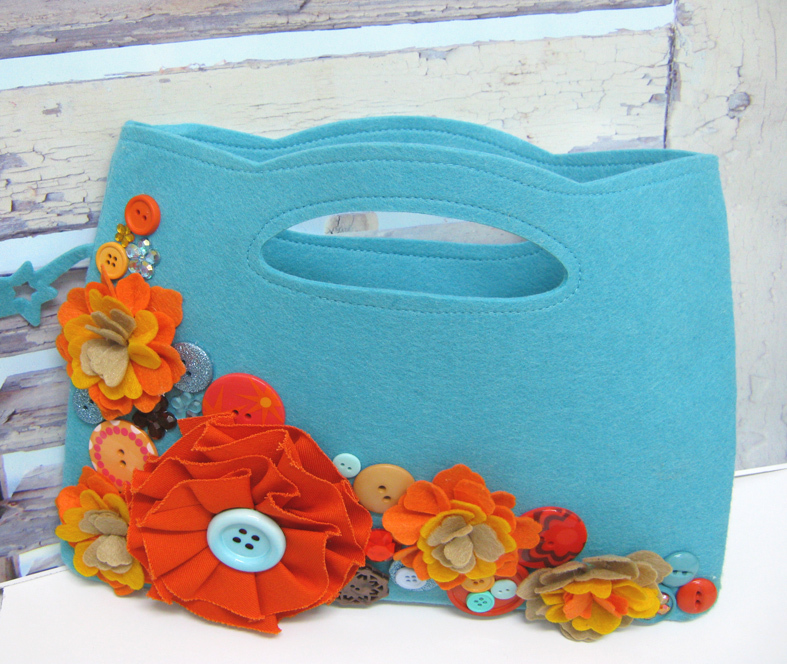 Mix and match the shapes, materials and colors and you'll get a really wonderful creation!